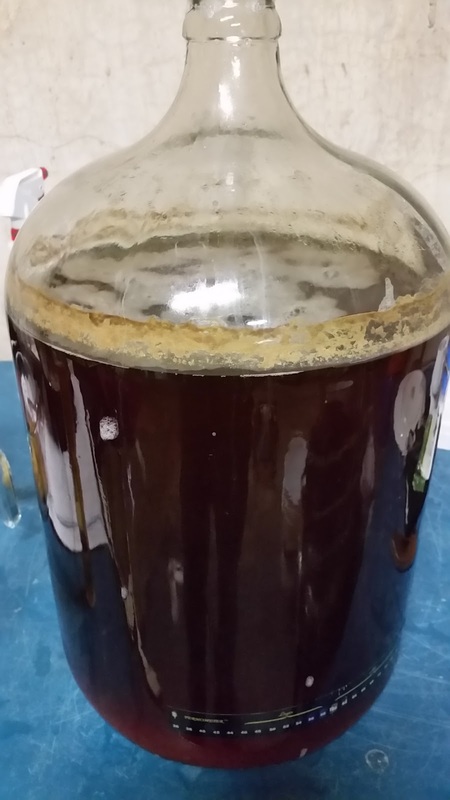 Tonight (10 January 2016) I kegged my Jarrylo Session IPA, which has been fermenting for 11 days. The yeast had dropped very clear, and the beer had a malty flavor (all that Munich!) with a rather subdued bitterness. I’d probably place it in the pale ale rather than than IPA category. Nonetheless, it’s shaping up nicely! Final gravity is 1.017, down from 1.047, for 3.9% abv. I added the dry hops (weighted down with two stainless steel washers–I note that three would probably be advisable, as the bag didn’t really sink as much as I’d hoped!). I’ll be force carbonating, and hopefully can let it go at least a week before tapping. This entry was posted in kegging, session beer, session IPA and tagged Jarrylo Session IPA, JSIPA. Bookmark the permalink.